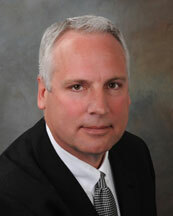 Mark H. TeGrootenhuis is an Executive Vice President with the Development Division of HSA Commercial Real Estate. His development responsibilities include asset valuations, pre-development underwriting, securing required entitlements and managing the construction process. Since joining HSA PrimeCare in 1998, Mr. TeGrootenhuis has managed several PrimeCare developments including the 53,000-square-foot Silver Cross Medical Office Building, the 9,800-square-foot Loyola Gottlieb Memorial Hospital Outpatient Clinic, the 22,500-square-foot University of Chicago Cancer Center at Silver Cross Hospital, and the 19,593-square-foot cancer center for Franciscan St. Anthony Health Center. Both cancer centers feature a state-of-the-art radiation oncology treatment center including a linear accelerator and PET/CT imaging. Mr. TeGrootenhuis is a 32 year veteran of the real estate construction industry with experience on a multitude of commercial, retail, industrial, and medical office building construction projects for Turner Construction Company. He has served as Project Manager for numerous developments in the Greater Chicago Metropolitan Area including the United Airlines terminal at O’Hare International Airport and the University of Illinois Medical Center Outpatient Care Center. In 1999, the 245,000-square-foot Outpatient Care Center opened as a state-of-the-art facility with a fully-computerized medical record system. In the last year, Mr. TeGrootenhuis has completed health care related real estate developments that exceed twenty-one million dollars in hard cost construction dollars.